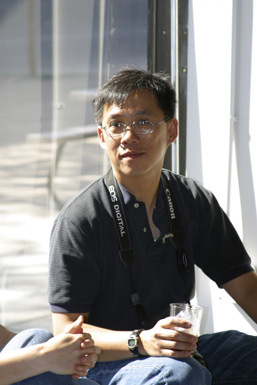 William Low has been working professionally as an award-winning painter and illustrator for over twenty-five years. He is the principal at Cobalt Illustration Studios, a full-service illustration studio that produces illustrations for corporate use, children’s books, advertisements, gallery paintings, and fine art quality prints. The studio’s many clients include: American Airlines, Compaq Computers, Guideposts Magazine, Harcourt Brace and Company, Harper Collins Publishers, Henry Holt & Company, LL Bean Inc., and Monsanto Corporation. Many of his paintings are on permanent view at various Houston’s Restaurants around the country. He also teaches at the Fashion Institute of Technology in New York City. OUR WHITE HOUSE. Illustration © 2008 by William Low. Reproduced by permission of the publisher, Candlewick Press, Somerville, MA. Low has won numerous awards, including four Silver medals from the Society of Illustrators, and has illustrated several children’s books, including Lily, by Abigail Thomas (a Parent’s Choice Honor Award winner in 1994). His work has been featured in Print Magazine, the Adobe Photoshop Wow! Book, by Linnea Dayton and Paul Davis, and The Illustrator in America 1860-2000 by Walt Reed. His books include Chinatown (which he also wrote), The Days of Summer by Eve Bunting, and Henry and the Kite Dragon by Bruce Edward Hall,. More recently he has authored Old Penn Station and Machines Go to Work by Henry Holt Books for Young Readers. 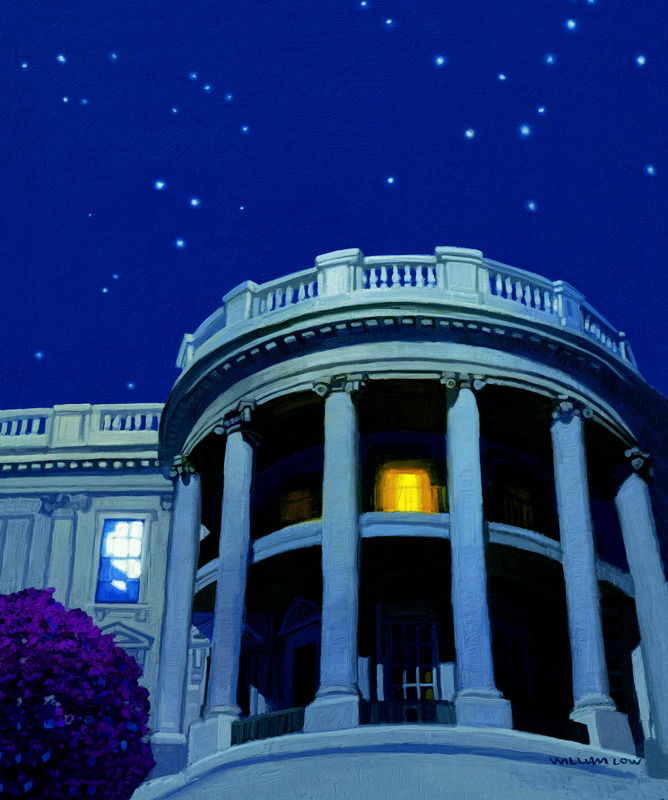 Regarding his illustration for Our White House, Low writes: “As I worked on the painting Moonlit White House, I wanted to evoke a quiet sense of drama. So I contrasted the cool glow of the full moon (you can even see a fragmented reflection on the window) with the warmth of an incandescent bulb from within. If you were to consider the stars, there are actually three light sources . . . I like to play them off of each other, like dancers on a stage.